1. Add an aspx page in your project. 3. 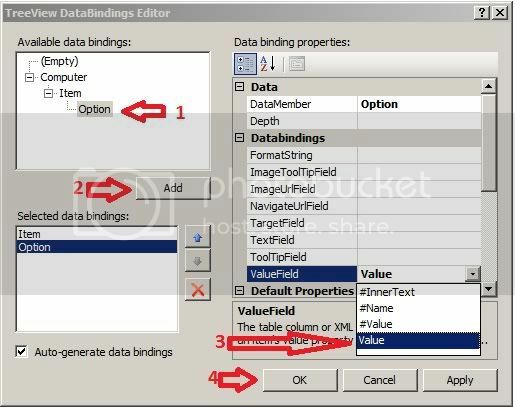 Open the aspx page in design view and drag a XMLDataSource into the page. 5. 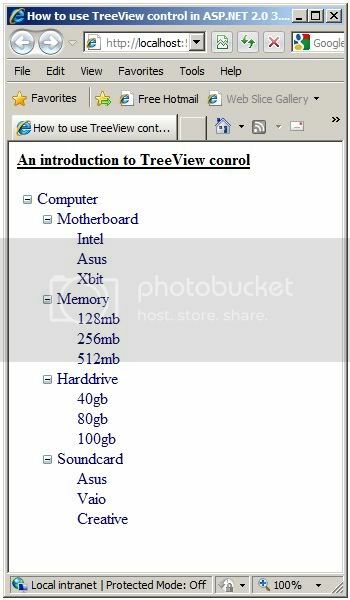 Now drag a TreeView Control and drop it into your page. Ok thats it. 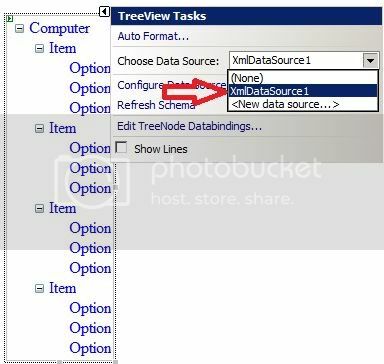 Now you can bind any XML file as a datasource of a TreeView Control.